Whatever the specs end up being I just hope this is the logo they’ll run with. Wasted oppurtunity otherwise. It's different to the style of their logo for the past 2 generations (if it ain't broke, don't fix it). If they go for rounded edges like thePS3andPS4logos, it might look like "PSS"... like this, so they'll want to avoid that. Don't think they'll go with anything like that but I bet we get a limited edition one like the PS1 version of PS4. Day 1 would be amazing. I never get any of these special editions because I'm always there day 1. Yeap. By the time the PS5 hits there'll be another node shrink with continuing efficiency improvements in the architecture. Optimistically we could see some numbers close to PC today. SANTA CLARA, Calif., Jan. 23, 2018 (GLOBE NEWSWIRE) -- AMD today announced the appointment of Mike Rayfield as senior vice president and general manager of AMD Radeon Technologies Group (RTG), and David Wang as senior vice president of engineering for RTG. Both will report to President and CEO Dr. Lisa Su. Rayfield will be responsible for all aspects of strategy and business management for AMD’s graphics business including consumer graphics, professional graphics, and semi-custom products. Wang will be responsible for all aspects of graphics engineering, including the technical strategy, architecture, hardware, and software for AMD graphics products and technologies. With more than 25 years of graphics and silicon development experience, Wang brings deep technical expertise and an excellent track record in managing complex silicon development to AMD. Wang rejoins AMD from Synaptics, where he was senior vice president of Systems Silicon Engineering responsible for silicon systems development of Synaptics products. Under Wang’s leadership, Synaptics more than quadrupled its design team through acquisition and organic growth. Prior to joining Synaptics, Wang was corporate vice president at AMD, responsible for SOC development of AMD processor products, including GPUs, CPUs, and APUs. Previously, Wang held various technical and management positions at ATI, ArtX, SGI, Axil Workstations, and LSI Logic. That's pretty interesting, and significant. Hopefully will have a positive impact on Radeon products and also semi-custom (re: mainly console SoCs). I suggested that idea to Shu, Shawn, Cerny and PlayStation on Twitter a while ago with my ghetto MS paint skills. Plus PlayStation 25 year anniversary will be around that time, not a bad idea to run with your most successful console's font. Nostalgia trip keeps going, it's timeless, futuristic and looks badass. If the PS5 releases in 2019, then this year's E3 is gonna be the stuff of legend...oh lawd, I gotta somehow contain my hype. 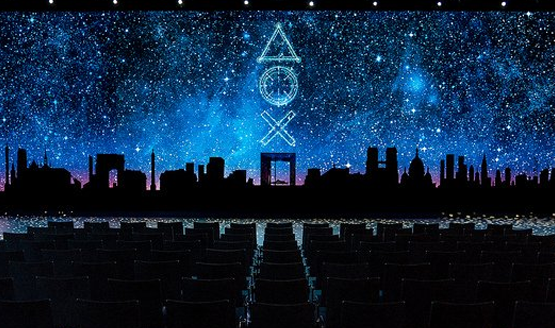 Any reason many seem to think the PS5 will be announced at E3? PS4 was announced at a Playstation Meeting in early 2013, Xbox One was announced at their own meeting around the same time, Pro was announced close to launch and after E3, Switch was announced late 2016. Only the X1X was announced at E3 and I'd consider that an outlier more to do with timing and impact on the competition, considering it was announced nearly a year and a half prior to launch. I think E3 is unlikely for these historical reasons, but also for the simple fact that an announcement at the E3 before launch is going to come way after rumour and leak have already spoiled the reveal, which happened with the Pro and seems like something Sony would rather avoid. If they want to avoid the worst effects of leaks then they need to go before GDC of that same year, so with a similar timing to the PS4. E3 just doesn't seem a good place to reveal hardware any more. That's a bit inaccurate. Wang's role is to lead the development of new GPU h/w. Raymond's role is to oversee the business side of such development. There's no distinction between discreet and SOCs for Wang and Raymond is responsible for the unit's performance in general, not only for consoles. Okay I stand corrected then. Thank you for the clarification on the division of responsibilities. I want PS4 Pro Pro before PS5 launch. No way.. Im tired of Jaguar limitations. If it launches next year (assuming holiday season) then we would likely not hear about it at this years E3. MS announced the XB1X 18 months out but that was quite out of the ordinary. I just want a PS4 Pro Slim but if we don't get one this year then I'll pass. I would like a good 2 years with it before a PS5 comes out so the PS5 would need to come out late 2020. If PS5 comes out 2019 then it's a waste if I'm replacing it a year later. I think the PS5 will essentially be a "PS4 Pro Plus" but just called PS5. Stick in a Ryzen CPU/GPU and other upgraded internals but it can play PS4 games. Developers can patch their games to take advantage of the extra power just like they did with the Pro or you can enable boost mode for unpatched games. Since it's a PS5 then we can get exclusive games built just for it that can make the most of the hardware inside. I hope we get new logos and new aesthetics, i'm tired of the ones we had for PS3/4/Vita. Still think 2019 is too early for PS5. I feel like this generation has just got into it's prime. Plus the PS4 is still selling amazingly well. My money is a winter 2020 release for the PS5. Also by that time the PS4 would have easily sold over 100 million units. Just hope Sony don't drop the ball with the PS5 like they did in the early PS3 days. Man Ryzen cpu are making a amazing combo. HBM2 its a thing for ps5? Maybe 8/12 HMB2. A octa-core ryzen with hyperthread can be great for o.s functions. Is this a Holiday 2018 PS4/5 or a Ataribox? So, when Su was asked by Barron’s if there was another new semi-custom chip in the pipeline, she gave a rather curious answer. She said that there is “one additional design that will ramp in the second half of 2018.” Su went on to mention that AMD would be mum on the subject until its partner is ready to discuss the project further. We have to also consider that Su mentioned this new prospect while at the same time describing an overall softness in the console market. We know that Sony and Microsoft don’t have any additional consoles in the pipeline that will be launching next year (Xbox One X launches in November), and the Nintendo Switch is running on NVIDIA Tegra hardware. Given that the Ataribox is supposed to be a PC-based system — which to this day still doesn’t have a launch date — it seems like the prime candidate for such a semi-custom chip from AMD. Would an Ataribox be offering 8K VR given Micron's GDDR6 game console slide? In addition, Ataribox is not mentioned in the Efficientgaming.eu site but Sony is. A softness in the Game Console market should signal a much price reduced PS4 or a PS5. The Atari console is expected to ship “late spring 2018” and will cost between $249 and $299, depending on hardware configuration. The Ataribox release date is too early at late spring for a Ramp in the second half of 2018. Typically a quantity of consoles are produced before sales which usually takes a quarter. You don't start spending money on advertizing till you can get the product in stores in quantity. Fall 2020. Seems too soon for a 2019 console release. Plus, Microsoft probably won't be releasing until at least then to give the One X time to breathe. What happened to the Sony Eye tracking shown at GDC 2014? There are several issues which will be corrected in time. 1) You need a higher res (4K) camera to track eyes at living room distances. This is turn means a new PS4 with cameras above 720P. 2) Non-game Eye tracking was envisioned for 8K TVs in Sony 2010 whitepapers where the attention of the viewer(s) would determine which view of 5 would be moved to the center larger window/screen. It could also be used for Foveated rendering and of course tracking the gamers attention. PS4 Pro has many features out of Polaris which is the first AMD GPU to support Foveated rendering. You need HDMI 2.1 to properly support 8K TVs which should come with a new PS4. 3) Off topic but germane because a new PS4 will have to support Eye tracking inside VR Goggles required for Foveated rendering which is necessary for 4K/EYE VR. Sony is releasing 8K TVs 2020. A new VR 4k/eye VR goggle should be released close to and likely before 2020. AMD's Infinity Fabric would allow PS4/5s to support SL3000 DRM (UHD Blu-ray) and more efficiently support Foveated rendering. Haptic tech and 8K @ 300FPS were mentioned in the 2012 Sony CTO article on Tech needed for Playstation. It was mentioned that they may need to wait 5 years for the Technology. HDMI 2.1 was released in 2017 = 2012 + 5. So anytime now at the earliest Holiday 2018 but before a new 4K VR Goggle or the 2020 8K TVs are released. Micron GDDR6 slides have a new Game console using GDDR6 ~ end of 2018 and efficientgaming.eu has new Power caps published for 2019. Sony has a UHD Blu-ray license for game consoles and PCs, both the software and drive, that they have not used yet. My guess is that they are waiting for PCs and possibly PS4/5s to have the DRM necessary. Infinity Fabric in AMD Vega and later GPUs can do this. Why PCs and PS4/5s, because they have the power to support the UHD Digital bridge that Sony, Sharp and Panasonic wanted with every Player. In addition a UHD Blu-ray player with digital bridge has the hardware to support a DVR for ATSC 3.0 and streaming to other platforms in the home. Sony and the Pearl group are going to have ATSC 3.0 stations in 24 markets by the end of 2018. The PS3 with Blu-ray was released in 2006 to prepare us, provide media for 1080P TVs which was to support ATSC 2.0. ATSC 2.0 was skipped in favor of ATSC 3.0 which should have display resolutions; 720P, 1080P and 4K all with HDR and optional AR/360 and 3D. The resolutions below 4K will be supported by the UHD digital bridge and ATSC 3.0. Older UHD Blu-ray players do not have advertised support for AR/360 and 3D but the UHD Blu-ray drive spec of 6X can support 4K + 3D. Whats happening here? i keep reading it and don't come to any sort of relevant conclusion. Fall 2020 with full PS4 back compat day one. How long do you guys think it might be before we'll have real-time, playable / in-game MonHun graphics like this? Are those graphics possible within the life of the next Sony/Microsoft consoles, within, say ~6 or so years from now, and on a similar scale like MHW ? I genuinely hope this is what happens. And that PS4 titles get PS4Pro benefits or even more cuz of PS5 power. I think many individual aspects of the graphics have (on PC) already been surpassed and I'm sure PS5/NextBox will too but the big advantage CG trailers have is the wham bam 2-3 minute trailer with McG quick edits that don't represent gameplay will never be matched. Even the volumetric? smoke trails in the Killzone e3 2005 trailer have, IMO, been surpassed in real-time on PS4 in Dreams (can't find the GIF right now). I would say 2020 or after to be precise. I highly doubt Holiday 2019 we will see the PS5 launch because it is still in the process of receiving many developed games that'll come out in 2019/2020. Yea. And the X isn't doing any dents to the PS4. Sony can take their sweet time developing a proper next-gen machine. Yeah, of course CGI trailers have all of those quick edits, camera angles, etc that are almost never matched in gameplay. What I'm looking for is a nice leap in complexity as well as image quality, so that even if playing on a 1080p or 720p screen, the graphics look "next-gen", before we factor in the 4K resolution which would be there regardless-yet that shouldn't be what defines next-gen graphics, only a small factor of it. The fidelity, IQ, lighting and fluidity/physics of each scene will hopefully be a big step up. Dreams is incredibly impressive to me, and that is the direction I'd like to see more games take visually next-gen. and of course to the next level of visuals. I hope Dreams is very successful - can hardly imagine what a Dreams 2 might look like on PS5. 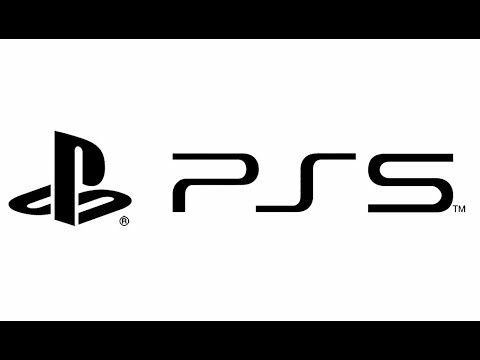 PS5 will be 2020. PS4 is still killing it, and we haven’t even seen a huge price drop yet. I think Sony has little reason to kick off next gen as long as they are killing it with PS4. That said revealing PS4 before XBO bought them some early mind share. I think if I'm Sony I wait. They have all the advantages. Microsoft and Nintendo seem unlikely to launch new platforms in the next 2 years to me. One thing is for sure though, they absolutely will not let Microsoft sell a next gen console before them. I want them to do a fully portable PS4 somehow. As for PS5, 16GB RAM and solid state hard drive plus strong CPU/GPU is all I want. Don't mess with the controller. Don't force VR. Do Blu Rey. Absolutely do BC. $399. I doubt the economy will be doing this great in 2020 so don't go big on price. Keep it at the sweet spot. Given the projected available process technology and maturity difference between a fall 2019 launch and a fall 2020 launch. I think whomever decides to launch a full next-gen console in 2019 as opposed to 2020 will be at a significant disadvantage. I suspect both MS and Sony both know this and will be planning for a 2020 launch, as that would also provide them more time to have significant first party developed software ready to launch out the gate with the console (Sony more-so than MS). PS3 didn't really get any huge price drops aside from the initial one (which was market forced). Based on those japan MHW numbers. Sony would be smart to launch PS5 with the next MH. Yes for sure, especially in Japan, but in the west also. I think Fall 2020 works well software wise too. TLoU2 can lead 2019 and then just cool down heading into PS5's 2020 launch. All the major first party stuff will be done and out, so they can put their focus on launching games year 1 and 2 for PS5. The 2018 TSMC 7nm node will come in two variants, one optimized for mobile applications and a second one optimized for High performance applications [2018 7nm = 20% improved performance and 40% power savings]. TSMC plans to introduce a second improved process called 7nm+ a year later, which will introduce some layers processed with EUVL. This will improve yields and reduce fab cycle times. The 7nm+ process will deliver improved power consumption and between 15-20% area scaling over their first generation 7nm process. Point: Multi-year 7nm design could start in 2019 at TSMC with little to no design cost to move to 7nm+. From the Micron GDDR6 Game Console Slide, Memory which is also a critical factor in determining a manufacturing date, is also available. What I am now concerned about is AMD talk of only one Semi-custom design win in 2018. No way to know if it's a PS4 but if it is, given Lisa Su is stating Game Console APU sales to Microsoft and Sony are winding down then I suspect a very cheap PS4 with likely PS4 Pro performance and Infinity fabric DRM for UHD Blu-ray. PS5 or PS4 with features we would consider a PS5 comes Holiday 2019 or 2020 but absolutely some time before a new VR Goggle with 4K/Eye. I don't think you know what Infinity Fabric is. Or that you know what youre talking about at all. Isn’t that what you’re saying? That 8GB in consoles was okay with developers because 8GB was becoming the new higher standard for PC GPUs? I’m confused. I have no clue what will happen but it just seems like having only 4GB more than XB1X and only double the 2013 amount would not be as marketable as a worthwhile leap. Of course much more goes into this but I just hope it’s 24GB+. Either way, aren’t developers targeting 4K for Scorpio/Pro/PC today anyways? Wouldn’t next gen just be a fleshed out, more fully realized version of 4K gaming today? You guys really have to stop comparing PC-s to consoles. First, consoles use unified heterogenous memory, so you don't need to copy data from the main RAM to the VRAM and store in two places. Second, there is the problem of memory size. The root of the problem is that on DirectX 11 the memory management is done by driver and it's very inefficient. On DirectX 12/Vulkan the memory management is done by the game engine but that would require the devs to do their job properly. But so far the whole thing didn't really improve. Currently if a devs wants to go with 2-3GB of real VRAM usage then you need 8GB VRAM on the graphics card. If a dev would want to with 8GB of real VRAM usage you would need at least 16GB but more like 32GB. The point is, the whole VRAM usage is very and I mean VERY VERY VERY inefficient. Of course Nvidia goes on the easy route and just packs more and more VRAM on their cards for two reasons: on PC it is the easier solution and also bigger number sells. 16GB looks better on a graphics card box and they can charge more for the card. In reality games need WAY less VRAM than the high end PC cards would lead you to believe. That's why AMD made the HBCC which basicly sais: you devs just need to write in a few lines of codes into your DX12/Vulkan/other explicit API engine and the hardware will take care of the memory management. Remember when AMD showed the Deus Ex demo which normally required 4GB VRAM to run properly but with HBCC it run easily on 2GB and had 50%+ average FPS and 100%+ min FPS? Obviously HBCC on PC is going to be a long story. But on consoles where there is only one hardware, one OS, one driver and one API to work against it's going to be used in every game. If not E3, around about that time. Sony may schedule a press event announcing the new hardware, like they done for the PS4. I hope the PS5 plays Ultra 4k bluray discs. IMO, it was a glaring omission for the PS4 not to have this feature. 2020 at the earliest. 2022 is what I feel in my heart for no good reason. That means it's probably 2021. I honestly think that if they release a new console within the next two years it will be very underwhelming. Slightly better than the Xbox One X but I'd be very surprised if it was a significant leap in terms of processing power/graphical capabilities. If I were developing a new console, I would wait a couple of years and aim to release a year after that. We've barely reached the point where the industry isn't struggling to make use of current hardware to make more engaging and demanding games and pushing the graphics envelope at this stage would, in my opinion, be needless and put an unnecessary strain on smaller developers. The Switch should be proof enough that even outdated hardware can perform admirably and connect with consumers today. We need more smaller developers to be able to fully use the platform and develop games within a relatively short development cycle. Pushing out a new hardware too soon would be too soon in my opinion. Huge price cut for ps4 family in holiday 2019 and PS5 in holiday (November?) 2020. TLOU 2 will be released soon that we expected .